Everyone knows that Texas is a football state. Our high school football teams have stadiums that rival the size of some professional teams. We’ve had books written, movies and TV shows produced about our love of football. In particular, Friday Night Lights, is the most well-known. Where did those lights come from? Well, when you go to a football game in the evening, it’s dependent on those tall light towers to provide enough light for the games to take place. Those towers didn’t grow out of the ground, they were put there by professional athletic field lighting specialists. 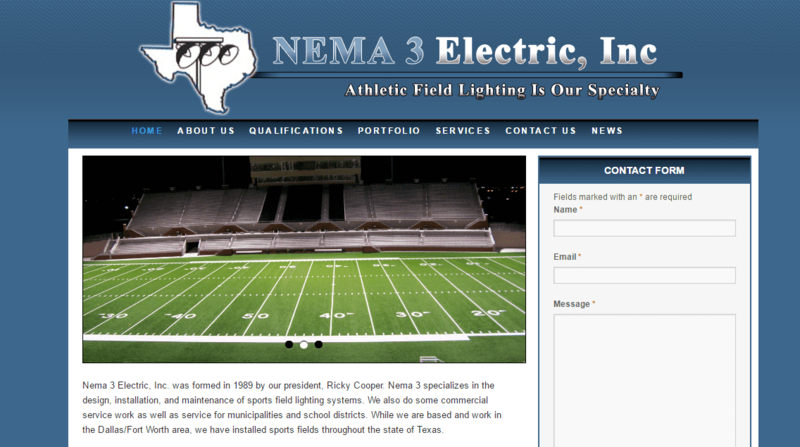 Nema 3 Electric has been installing athletic field (indoor & outdoor), trail and parking lot lighting since 1989 and have a list of satisfied clients that could stretch a mile long. Take a look at their portfolio and next time you’re at a sporting event, walking trail or parking lot and notice the lighting structures, think of Nema 3 and the hard work they’ve put into helping you feel safer at night and allowing your teams to play when the sun’s not out.